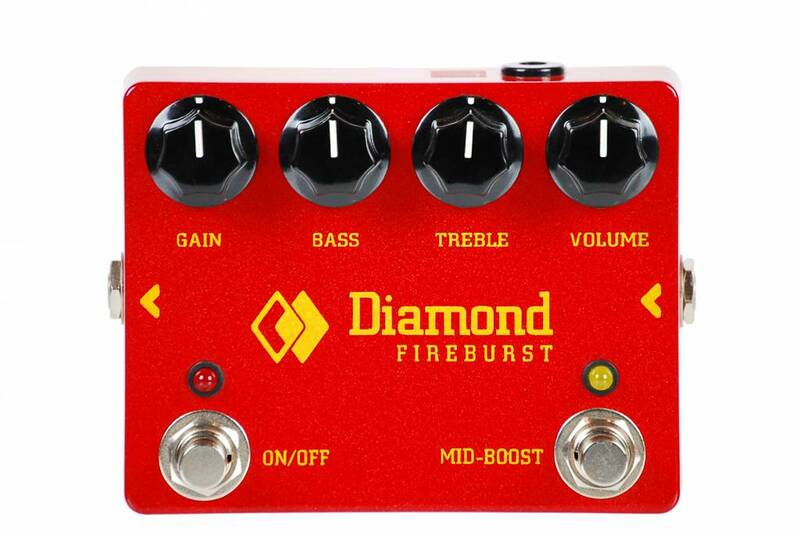 Thick saturated fuzz with amazing amounts of low-end - the Fireburst. 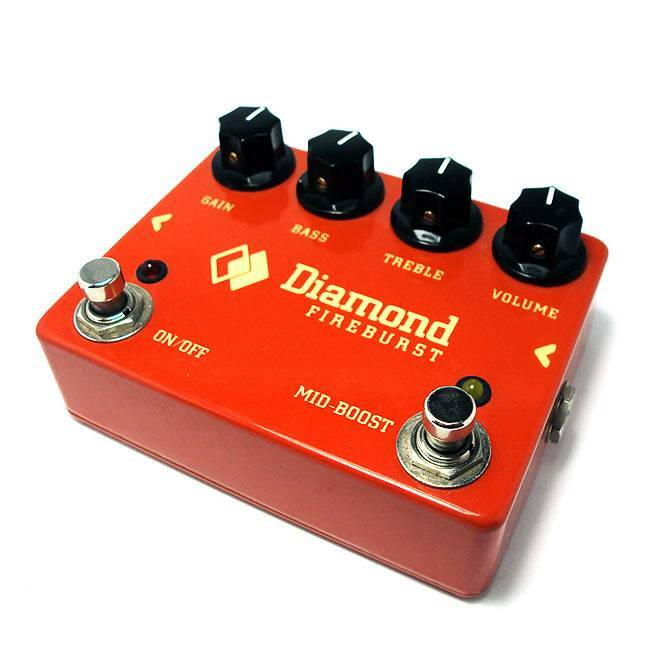 To add to its utility, we put in a unique, footswitchable mid-boost eq and pre/post gain circuit that snaps the fuzz into focus and turns the Fireburst into a tightly focused distortion pedal. The fuzz and distortion gain and mid-boost eq circuits are all discrete component, while we use an audiophile grade opamp for an active Baxandall bass/treble control. The bass and treble controls act independently at extended frequency extremes ( 3 kHz), allowing for some very interesting post-distortion tonal shaping.